Off-label Caol Ila! It's kind of like buying the CVS brand of Aspirin. 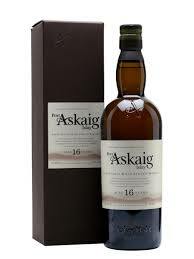 If this were purchased at Wal-Mart, it would be labeled "Great Value Islay 16 year." So is it a great value? Nah, it's really just so-so. There's nothing wrong with it: a nice grassy peat on the nose and a fine start on the first sip, but the finish falls off a cliff. It's watery and vanishes before it even starts. A pleasant, if generic Islay, that starts strong and sputters out. 80 points/B-. This varies batch to batch, so for record purposes, this is the current one. I, however, do not vary, as I'm consistently remarkable in every way.